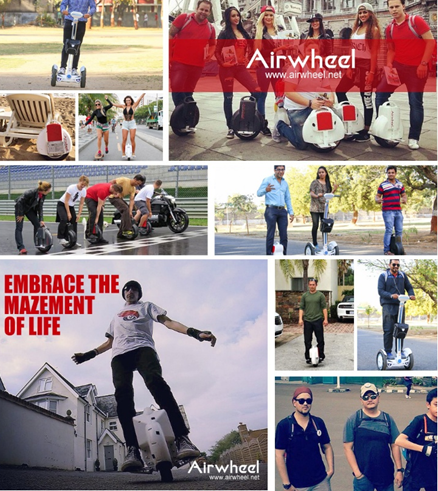 Three-year-long painstaking effort confers a gigantic success and colossal honour on Airwheel. Being a scooter-maker, Airwheel has become a prominent firm, both industrywide and worldwide. Adhering to the triple principle: innovative, eco-friendly and user-friendly, Airwheel has rolled out three series of scooters by sequence, overwhelmingly dominating the current sector of the self-balancing scooter. These series cover the single-wheeled X-series, the twin-wheeled Q-series and the intelligent self-balancing Q-series. The single-wheeled X-series is famous as its agility. The twin-wheeled Q-series inherits the classic elements from X-series and introduces a brand new two-wheeled structure, ensuring its balance and enhancing ease of use. S-series, acting as the latest one, reaches the climax of Airwheel design and technology. Hence, it is naturally hailed as the ultimate of Airwheel scooters. A couple of years ago, Airwheel got its first try-out of design notion in X3, and made a splash. 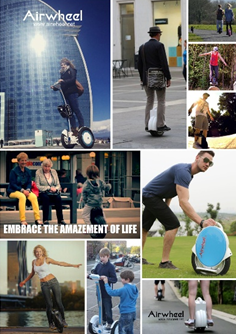 Following this successful momentum, Airwheel rolled out other models of X-series, e.g. X5 and X8. Years passing, scooter enthusiasts are still obsessed by models of X-series. Although the structure of single wheel might scare away some tyros, its agility takes some beating in all lines of Airwheel. Almost all veteran scooter enthusiasts willingly opt for X-series to show their thrilling skills of riding scooter. They tend to display their fancy tricks in the streets or squares before pedestrian, like turning circles, sitting on it while rolling, standing upside down and even pushing a car while standing on it. In another word, the single-wheeled structure better set off their fancy tricks. In a word, X-series is especially for veterans and Q-series for tyros. Based on the X-series, Airwheel released a twin-wheeled scooter, Q-series. Q-series inherits the exterior design from X-series. However, Airwheel gave a ground-breaking tweak to the wheel structure. The single-wheeled structure was transformed into the twin-wheeled one. The twin-wheeled structure contributes to keeping balance and seems more user-friendly. Therefore, Q- series becomes the favourite of tyros. The latest model, intelligent self-balancing scooter S3, is designed to the utmost. The sleek and streamlined exterior always acts as a limelight in the trade fairs. At the same time, its eco-friendly future expands the scope of its application.